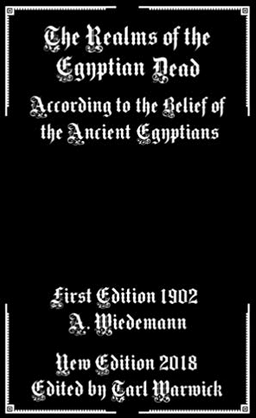 Animism, the Seed of Religion: Now Available! 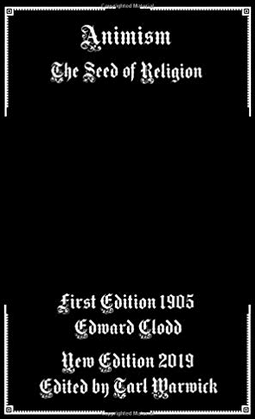 This is of interest potentially to two groups of people; the occultist will here find some interesting folk tales and spiritual rites from cultures then being actively studied at the height of the colonial era, and the history buff will find in these pages an interesting but sometimes outdated colonial perspective on non-European cultures. It focuses mostly on African lore but also on India and makes some mention (in the naturalistic period post-animism but prior to semimodern religion, as the theory then held) to the Mesoamericans. The categorical system isn’t entirely accurate, but it is applicable and useful. Author styxhexenhammer666Posted on January 1, 2019 January 1, 2019 Categories UncategorizedTags african folklore, animism, anthropology, archaeology, colonial era, folk lore, hinduism, history, india, mesoamericans, naturalism, occultism, victorian eraLeave a comment on Animism, the Seed of Religion: Now Available! And now it’s time for a happy surprise- one final occult work to release before 2019 begins. 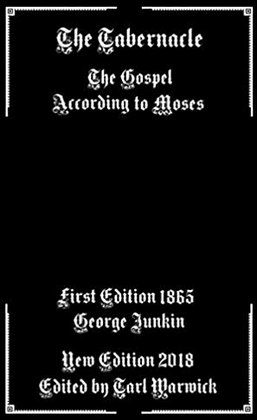 It’s quite a great one also- compiled from sermons and writings from the renowned Presbyterian George Junkin. It covers the architecture of the Jewish Temple in minute detail and offers (sometimes inferred) symbolism and other asides. Altogether it’s painstakingly detailed, and the amount of content here would take up twice as many pages were it not for the compacted writing style. It is strongly recommended to anyone with interest in the era of Moses, even if some of the historicity is taken less seriously now than in the 1860s. Author styxhexenhammer666Posted on December 20, 2018 December 20, 2018 Categories UncategorizedTags archaeology, architecture, bible, books, exodus, george junkin, jerusalem, judaism, literature, moses, religious studies, the tabernacleLeave a comment on The Tabernacle: Now Available!